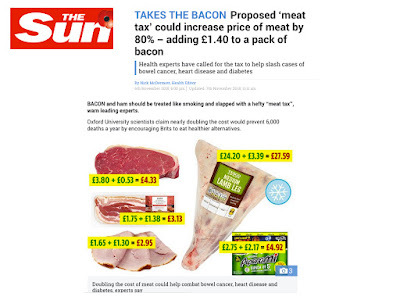 Here's the Public Library of Science (in this case, pseudoscience) article by conceited "authorities " advocating an 80% tax on processed meats and a 14% tax on red meat. 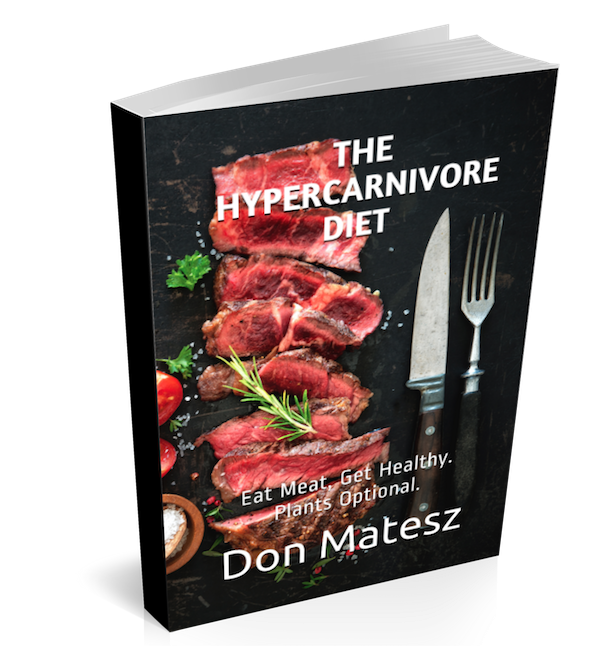 Nowhere do they establish or even claim that either type of meat CAUSES disease. 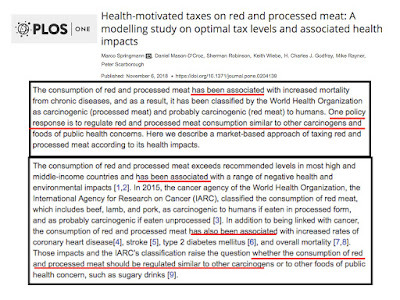 Rather, they only claim that meat "has been associated" with chronic diseases. I guess they didn't get the memo explaining that association does not establish causation. 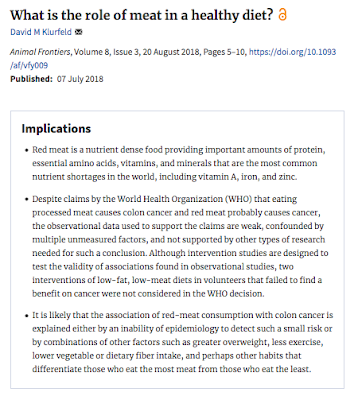 Nevertheless they quote the trash WHO report claiming that processed meat is a carcinogen and red meat is probably carcinogenic, which report has been torn to shreds by critics for the same mistake of deriving causation from mere association in the presence of major con founders. Georgia Eade, M.D. thoroughly exposed the extremely poor quality of the WHO report here. 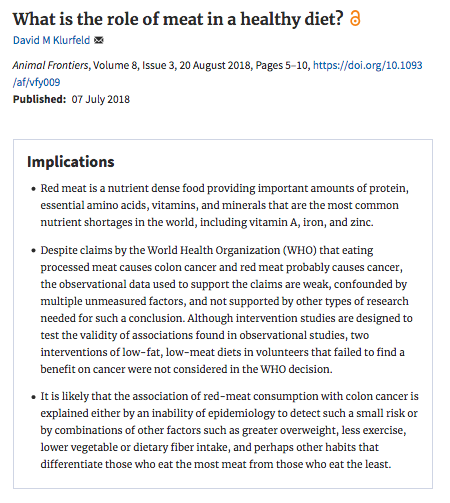 This paper recommending a meat tax proves once again that most published research findings are false, and exemplifies the conceit and tyranny of " experts" who believe they have the right to coerce people into behaving the way they believe the people should behave. Observe that behind this proposed tax is an iron fist. If you refuse to pay you will be visited by heavily armed thugs who will threaten or apply violence to get your compliance, if you resist you will be assaulted and thrown in a cage or even shot. 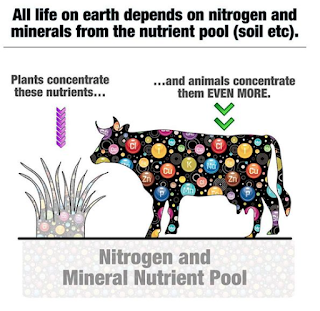 Taxation is theft, and this tax would not only involve confiscation of your hard-earned wealth but also depriving you of the health, fitness and intelligence you can enjoy by eating red meat, which is by Natural Law (of the food chain) one of the most nutrient-dense foods available to us. Graphic by the incredible Ted Naiman, M.D. You are taught to never question authority from an early age so that you will not question or resist when they want to apply more chains for their pleasure or benefit. If you question you will be called a "cholesterol denier" or "red meat denier" or "science denier" – in short, an INFIDEL; the game is to shame you for noticing the emperor has no clothes and is a thief. This is the way apparently mild-mannered psychopaths continue to attack your life, liberty and property. Probably the authors of this tax paper get a dopamine high from their belief that they have the moral right to control our behavior to their liking. I say to them: get lost scum bags, the road to hell is paved with your allegedly good intentions!